Retirement is not “golden” for all seniors. More than 25 million Americans age 60 and older are living with limited assets and incomes below $30,000 per year. And even with a higher income than that, it can be difficult to make ends meet. There are numerous financial-assistance programs, both public and private, that can help struggling seniors, as well as give relief to family members who help provide financial support for their loved ones. And because of a comprehensive resource called ­BenefitsCheckUp.org, a free service of the National Council on Aging, locating these benefits and applying for them have never been easier. The website is a confidential tool designed for people age 55 and older and their families. It includes information on more than 2,000 programs. Many are available to anyone in need who qualifies, while others are available only to older adults and can help them retain their independence. To use the site, you enter basic information about the person in need—date of birth, zip code—and check boxes for what the person needs assistance with. The site generates a report instantly, listing links to the programs and services that the person may qualify for. Some assistance programs can be applied for online…some have downloadable application forms to be printed and mailed, faxed or e-mailed in…and some require that you contact the program’s administrative office directly. It’s also possible to get help in person at a Benefits Enrollment Center. There currently are 36 centers in 24 states, with 12 more centers being ­added in 2016. Visit NCOA.org/centerforbenefits/becs to locate a nearby center. Food assistance. Programs such as the Supplemental Nutrition Assistance Program (SNAP)—previously known as “food stamps”—can help pay for groceries. The average monthly SNAP benefit currently is around $126 per person. Other programs that may be available include The Emergency Food Assistance Program (TEFAP)…Commodity Supplemental Food Program (CSFP)…and the Senior Farmers’ Market Nutrition Program (SFMNP). Health care. Medicaid and Medicare can help or completely pay for out-of-pocket health-care costs. And there are special Medicaid waiver programs that provide in-home care and ­assistance. Prescription drugs. There are hundreds of programs offered through drug companies, government agencies and charitable organizations that help reduce or eliminate prescription drug costs, including the federal low-income subsidy known as “Extra Help” that pays premiums, deductibles and prescription copayments for Medicare Part D prescription drug plan ­beneficiaries. Utility assistance. There’s the Low Income Home Energy Assistance Program (LIHEAP), as well as local utility companies and charitable organizations that provide assistance in lowering home heating and cooling costs. 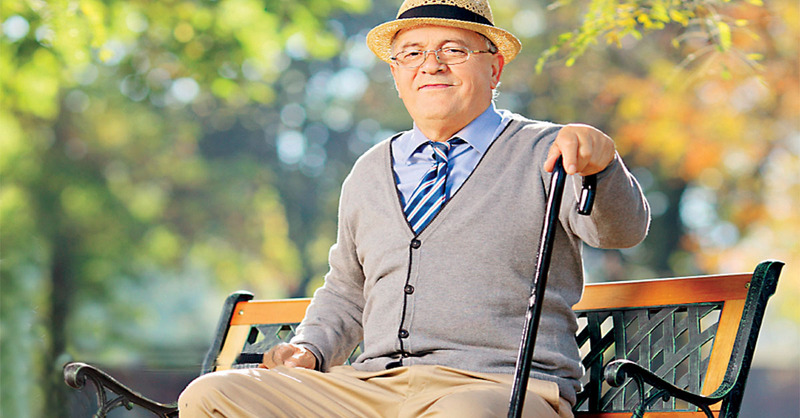 Supplemental Security Income (SSI). Administered by the Social Security Administration, SSI provides monthly payments to very-low-income seniors, age 65 and older, as well as to people of any age who are blind or who have disabilities. SSI pays up to $733 per month for a single person and up to $1,100 for couples. In addition to these programs, there are numerous other benefits that are available such as HUD housing (affordable housing for low-income families, the elderly and people with disabilities)…tax relief…veterans’ benefits…respite care (short-term care that gives regular caregivers a break)…and free legal ­assistance. Family and friends. Include all possible candidates you might call on for rides, and determine their availability and contact information. Volunteer-driver programs. These types of programs—usually sponsored by nonprofit organizations that serve seniors and people with disabilities—typically offer flexible transportation to and from doctor appointments, shopping and other activities. Many charge a nominal fee or suggest donations, though some are free. Examples: The Senior Corps Retired & Senior Volunteer Program (National Service.gov/programs/senior-corps/rsvp), which offers volunteer-driver services in communities around the country, provides free transportation primarily to and from medical appointments. iTN America (iTNAmerica.org) includes transportation programs in about 20 areas across the US and has more in development. It charges riders age 60 and older and visually impaired adults of any age ­annual membership dues of around $50, plus a $4 pick-up fee and a mileage fee of around $1.50 per mile. iTN America programs (see above) offer a car trade-in program that lets you convert your car into a fund to pay for future rides…and a car-donation program that provides a tax deduction if you itemize on your tax returns. Paratransit services, also called “dial-a-ride” or “elderly and disabled transportation services,” often are government-funded programs that charge a small fee, typically ranging from $0.50 to $10 per ride. Some services may be free for people who can’t afford to pay. To locate a paratransit service in your area, contact your Area Agency on Aging (call 800-677-1116 or visit ElderCare.gov). Ride-sharing services. The two biggest ride-sharing services are Uber and Lyft, which operate in major cities across the US. You request a ride from a driver who uses his/her ­vehicle to transport you. Ride requests with Uber are made using the Uber smartphone app or at the Uber mobile website…with Lyft, you use its smartphone app only. Costs are comparable to taxi fares. Private transportation services. Some hospitals, health clinics, senior centers, adult day centers, malls and other businesses offer free transportation for program participants or customers. And some nonmedical home-care agencies offer fee-based transportation services. Two excellent resources for finding local transportation options include your local Area Agency on Aging (see above)…and a nonprofit service called Rides in Sight (855-607-4337, RidesInSight.org). Source: Jim Miller, an advocate for older Americans, writes “Savvy Senior,” a weekly column syndicated in more than 400 newspapers ­nationwide. Based in Norman, Oklahoma, he also offers a free senior e-news service at SavvySenior.org.